1 Run unit tests on windows with a valid $CFG->pathtounoconv set. 2 Run unit tests on linux with a valid $CFG->pathtounoconv set. 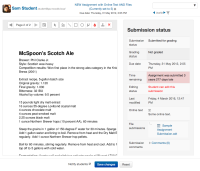 Upload a submission as a student to each. Make sure the submission has a few files like doc, docx, pdf, ppt, txt. Run cron to convert submission files to pdf BEFORE the teacher goes to grade a submission. 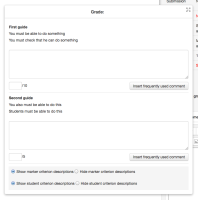 Grade it as a teacher using the new grading interface. 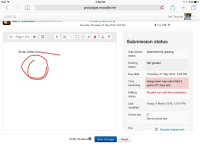 Test the new grading interface on an ipad. Test the new grading interface on an android phone. 1 Run unit tests on windows with a valid $CFG->pathtounoconv set. 2 Run unit tests on linux with a valid $CFG->pathtounoconv set. 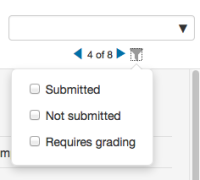 Create one of each of these types of assignments: Blind marking enabled Group assignment Marking workflows Advanced grading Rubic Advanced grading Marking guide Upload a submission as a student to each. Make sure the submission has a few files like doc, docx, pdf, ppt, txt. 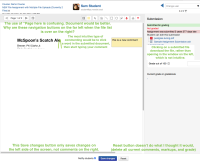 Run cron to convert submission files to pdf BEFORE the teacher goes to grade a submission. 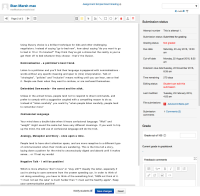 Grade it as a teacher using the new grading interface. Test the new grading interface on an ipad. Test the new grading interface on an android phone. Test the new grading interface on a blackberry (j/k) Try it in RTL. This epic collects issues relating to the improvement of the Assignment user interface targeted for Moodle 3.1. 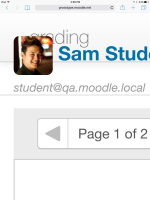 MDL-56363 Moodle 3.1 Assignment, tutors able to grade students in groups they are not in. MDL-53827 Responsive issues on a resized windows. MDL-52715 Create a new requires class for implementing mforms in AJAX.